Arsenal will reportedly hold talks with Barcelona today over a transfer deal for Denis Suarez, most likely on an initial loan deal. 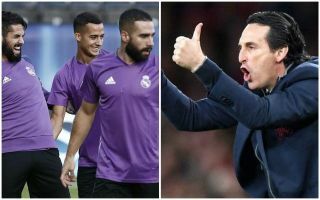 This update comes from the Daily Mirror, who state talks should be set to resume imminently over what could be a key signing for Unai Emery. Arsenal are not in the best form right now, winning just three of their last eight games in all competitions. Despite a solid start by new manager Emery, the weaknesses in this squad he inherited from Arsene Wenger are starting to show. Suarez looks a decent player and one who could fill an important role in this Gunners side, with Aaron Ramsey set to be out of contract at the end of the season, and players like Granit Xhaka and Mohamed Elneny not looking convincing long-term options in the middle of the park. The Mirror claim Arsenal don’t have the funds to buy players this month, but it does seem a loan deal for Suarez remains a possibility. The Spain international has struggled for playing time at the Nou Camp so there seems little reason for Barca to fight too hard to keep hold of him.